We are proud to see these former JA students at Swedish National Football Gala achieve this impressive distinction. 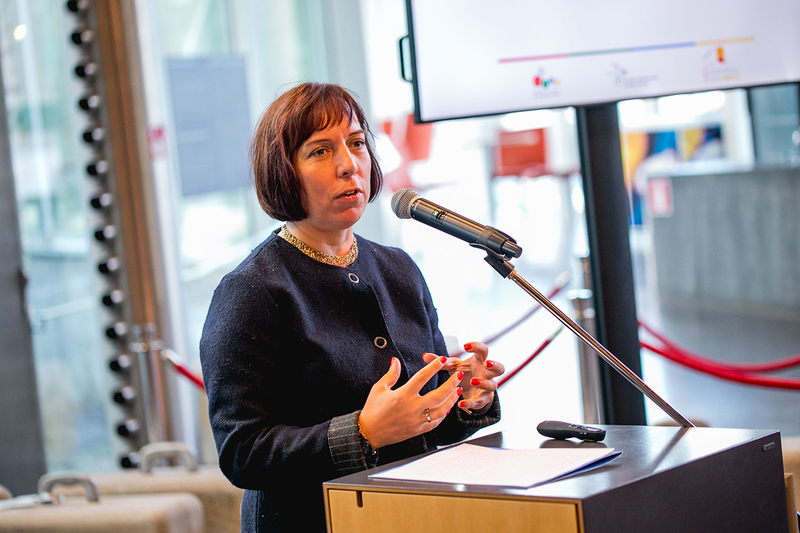 The recognition not only honours achievements to date but also encourages continued use of entrepreneurial attitudes and skills to effect change. Zlatan Ibrahimović is a major source of inspiration for young people across the world. 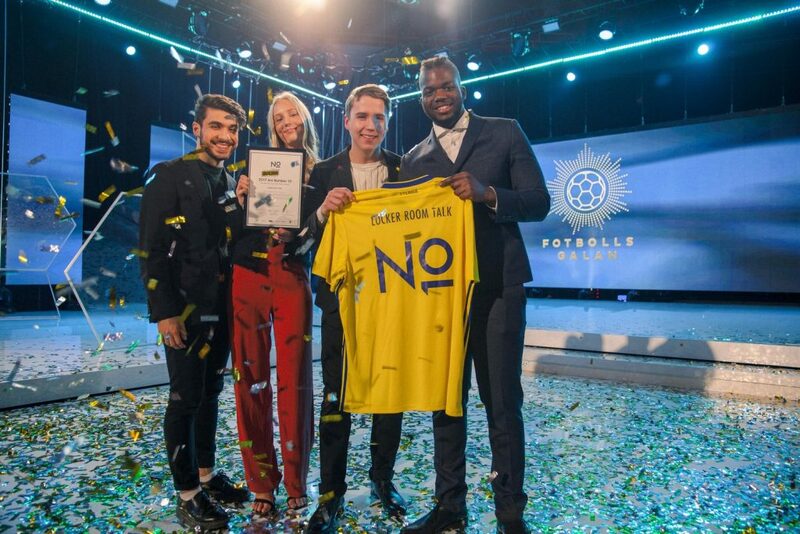 Together with Volvo Cars, the Swedish Football Association and its sponsors, Ibrahimović recognised ‘Locker Room Talk’ for its innovative business idea, which contributes significant value to Swedish football. Today the former JA Company collaborates with sports associations in Sweden to speak frankly about gender equality and macho culture in locker rooms. Their JA Company was placed second in the ‘JA Europe Company of the Year Competition‘ and was the European winner of the Facebook Best Social Media Marketing Campaign Award for their outstanding work across social media platforms, creativity, and innovation. Since then the company’s founders have developed their business idea and have now founded a proper NGO. Facebook continues to support these budding entrepreneurs and contributes useful advice. They receive training about how to work with campaigns and with Facebook as a marketing tool, which is an important resource at this early stage. In Sweden, they have received a great deal of media attention and are continuing to work with the Swedish Association of Sports to develop their business and help them expand to the rest of the country. We at JA Europe were delighted to hear about the important role JA programmes play in the development of students’ initiatives, which reflects well on our JA Company Programme. “Well, we have known each other for a long time, also before ‘Locker Room Talk’ existed, and we have been talking a lot about this issue. It is very important to us, and then it was time to start a JA Mini Company. It was natural for all of us to go ahead with this and, since then, we have been working together,” said Julia Frännek, co-founder of ‘Locker Room Talk’. “A great congrats to ‘Locker Room Talk’. Very well done, and well deserved. I inspire many but so do you. Keep doing what you do, get your message out, and make them think of you again. You’re targeting the right age, where it all starts. It takes a lot of courage to do what you do. Keep on fighting and just do what you do. Congratulations to Number 10”.